Rascal Flatts will launch a new tour this summer, the “JC Penney Presents Rascal Flatts Nothing Like This Tour.” The first leg will open June 25 in Raleigh, North Carolina, and will continue with 26 shows through September 19 at Boston’s Comcast Center. Kellie Pickler and Chris Young will open. 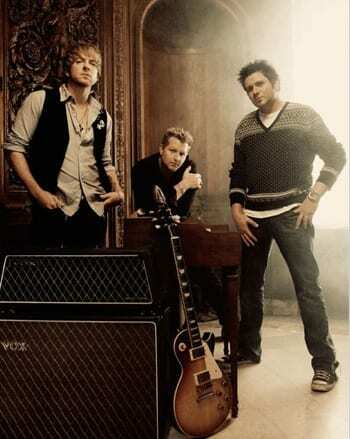 Rascal Flatts recently wrapped its “American Living Unstoppable Tour,” which played 57 shows between June 2009 and March 2010, with attendance near 800,000. This total also includes the two sold-out stadium concerts at Chicago’s Wrigley Field and Columbus’ Crew Stadium last summer. The band spent their time off this spring recording new music, expected out this fall. Carrie Underwood will continue her highly successful “Play On Tour” through the end of this year. “Hydrated by vitaminwater®,” the outing launched March 11 and is now slated to run through December 19, 2010, for a total of more than 100 shows throughout the U.S. and Canada. Billy Currington and Sons of Sylvia will appear this fall as special guests. The “Play On Tour” is Presented by AEG Live. Thirty-six cents of every ticket sold for the fall tour dates will go to Save the Children’s United States Programs. This initiative was inspired by a lyric about “36 cents” from her song “Change,” addressing how the smallest bit of spare change can add up to make a difference. Fans can see Underwood perform “Change” tomorrow (4/21) on Idol Gives Back on FOX. Tickets for the newly announced fall dates will go on sale beginning Saturday, April 24th at 10am – please see local venues for specific information.